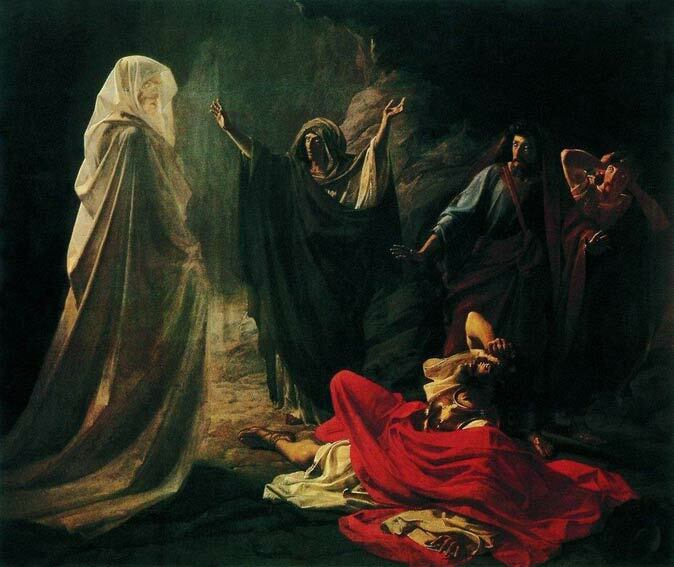 Witch of Endor by Nikolai Ge, 1857. Since the early part of the 1990’s, a very dangerous antichrist spirit has been manifesting in Christian Churches around the world. It’s always been here, even before the 90’s, yet it is now growing even stronger, and continues to drag the church down in a never-ending spiral of deception, lies, and apostasy. Let all things be done decently and in order (1 Cor. 14:40). Even though there is lively worship in the church, and although people may “experience” the presence of the Holy Spirit during that worship, there will always be a decency and an order to things. It is not edifying to have men, and especially women, laying on the floor as if an earthquake took place–nor is it edifying to hear people moaning, or sardonically laughing, or laughing as if in a fit of hysteria. Nor is it spiritually edifying to hear people barking like dogs and braying like mules, rolling on the floor, shaking as if they are having a spasmodic fit, or jerking and shaking their head as if their neck could snap at any minute. Those kinds of manifestations are not decent, nor in any kind of order; and I can safely say they are not of the Holy Spirit. They either occur because of the flesh, or peer pressure, or, are evidence of something more sinister. These types of manifestations are indications of another spirit, not the Holy Spirit. While there are plenty of people who will disagree with me on that point, let me again emphasize that the Bible–written by the inspiration of the Holy Spirit says, let all things be done decently and in order. How is it decent and orderly if people cannot hear the Word of God and respond to it because they are distracted and caught up in the circus-like atmosphere with weird and strange manifestations happening all around them? Here is an example of what I am talking about. Please take the time to watch the following video because it is a perfect illustration of an antichrist spirit spreading deception in the Church. At this point should note, and I say this with all compassion, that I am afraid the young people in this service really do not know, or understand, the difference between an evil spirit, which is spreading deception, and the power of the real Holy Spirit dealing with hearts about sin, righteousness, and judgement to come (Acts 24:25). Please watch the entire video, it is 5 1/2 minutes in length; and at the beginning you will see Bill Johnson. I think this video was filmed at his Church in Redding California, or, he and Heidi Baker must have been participating together in a Church service elsewhere. Near the end you will see an example of demonic possession happen in a Christian Church caused by the laying on of hands by someone claiming to be a Christian leader. What you have seen is just a small example of what is passing in the Church these days as the Holy Spirit. Let me say this as strongly as I can–Heidi Baker did not impart the Holy Spirit–when she placed her hands on the blond-headed young man, she transferred a demonic spirit, and that is where her power comes from–to be blunt–she is utilizing a familiar spirit. In the Hebrew language it is referred to as an OB or OWB–it is the same kind of spirit used by the witch of Endor in the Bible (1 Samuel 28: 3-25). In some Eastern religious sects, often called “Kundalini cults,” the guru or spiritual leader does the same thing, with the same results. It is clear that the young man reacted violently once he was filled with a demonic presence–again, Eastern religions refer to that kind of impartation as the awakening of the Kundalini. When the young man received the Kundalini his physical body reacted violently because the evil spirit activated the nervous system in the lower part of his spine. I dare say that the spirit that possessed him will be very difficult to expel–not impossible mind you, through the name and the power of Jesus, but very difficult– it will take much prayer and fasting to free him. That is real demonic possession–it is not the Holy Spirit, it’s a counterfeit, and it will cause demonic possession or oppression in the person who receives it–even to a born-again Christian, if they open themselves up to it. We are tripartite beings, God created us with a spirit, soul, and a body. A regenerated Christian has the Holy Spirit in his spirit–his spirit has been born-again. But, the body still possesses a sinful nature, and the soul (the mind), is still subject to the desires of the flesh; furthermore, disease and the environment can influence the mind–and this includes influence by a demonic power. 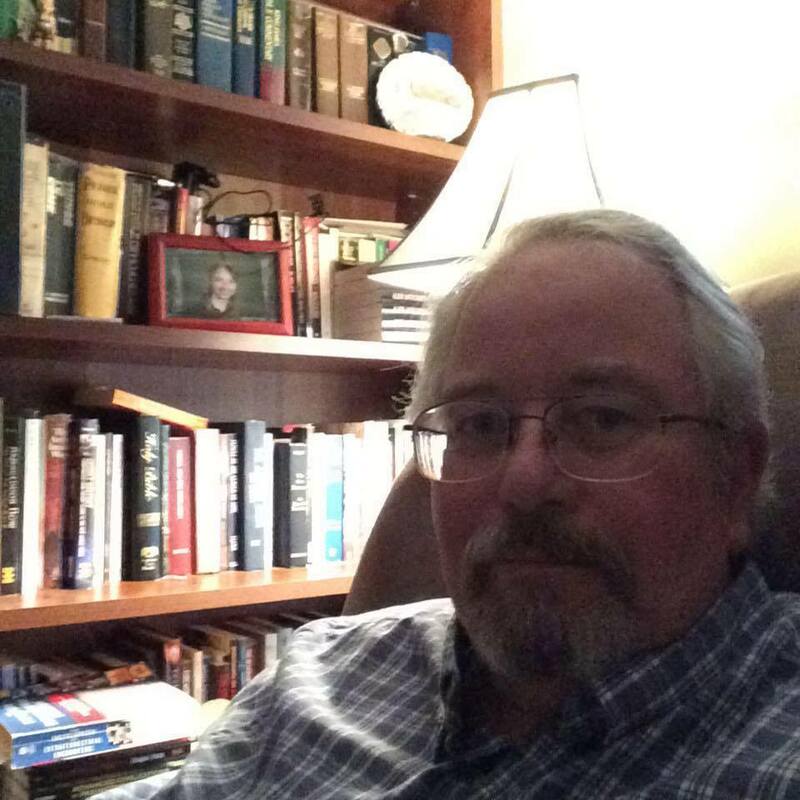 We understand why unregenerate people follow after this stuff, they are looking for some kind of spirituality, and now you know why it is also possible for a true Christian to get mixed up in this spiritual mess. Beware of false prophets, which come to you in sheep’s clothing, but inwardly they are ravening wolves. 16 Ye shall know them by their fruits. Do men gather grapes of thorns, or figs of thistles? 17 Even so every good tree bringeth forth good fruit; but a corrupt tree bringeth forth evil fruit (Matt. 7:15-17). Not every one that saith unto me, Lord, Lord, shall enter into the kingdom of heaven; but he that doeth the will of my Father which is in heaven. 22 Many will say to me in that day, Lord, Lord, have we not prophesied in thy name? and in thy name have cast out devils? and in thy name done many wonderful works? 23 And then will I profess unto them, I never knew you: depart from me, ye that work iniquity (Matthew 7:21-23). That is why I do not allow just anyone to lay hands on me, or my wife and daughter. I must know them, know their relationship with Christ, and observe their life. 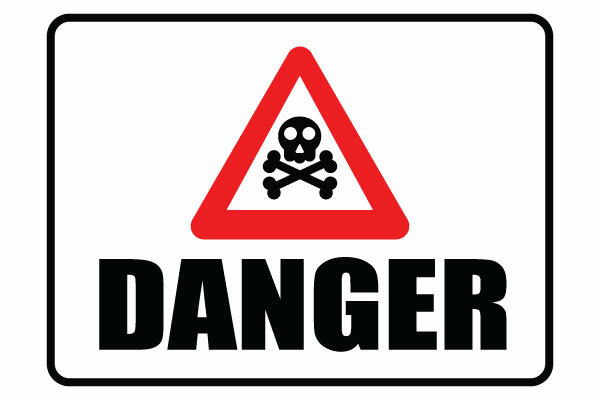 I realize that sounds hard–but we are in dangerous times! We are living in days of apostasy, and believe me, we must be spiritually discerning–not critical, but discerning. One last thing regarding the Kundalini in the church. The main reason many people are subject to this kind of spiritual deception is that they always want MORE than what the Bible offers, and they always want something MORE than what true Christianity actually is. Have you heard the call for MORE? We want more–what they really want is more spiritual power that they can FEEL! That is what they actually want; they want to feel and experience their spirituality, and they want to feel Jesus, God, and the Holy Spirit. But God wants us to walk by faith, not by sight (2 Corinthians 5:7). Yes, at times we can sense the presence of God, but for the most part the Lord requires us to walk by faith, especially as you get more mature in the faith. You don’t need God to prove Himself with miracles. And yet, thankfully, there are times when He does grant a miracle, and healing, but it is always under HIS CONTROL, not the control of any man, or supposed “faith healer.” But even if God doesn’t grant a miracle He will always provide grace and mercy–and it’s always sufficient for any circumstance (2 Corinthians 12:9). And the beast which I saw was like unto a leopard, and his feet were as the feet of a bear, and his mouth as the mouth of a lion: and the dragon gave him his power, and his seat, and great authority. 3 And I saw one of his heads as it were wounded to death; and his deadly wound was healed: and all the world wondered after the beast (Revelation 13:2-3). Even him, whose coming is after the working of Satan with all power and signs and lying wonders (2 Thess. 2:9). Remember to pray for the persecuted Church. Radical Islamists in France attacked a Catholic Church during mass in a suburb of Rouen in northern France and slit the throat of 84-year-old Priest Jacques Hamel. Several others were injured as well, fortunately the police killed the Islamic attackers. And when he had opened the fifth seal, I saw under the altar the souls of them that were slain for the word of God, and for the testimony which they held: 10 And they cried with a loud voice, saying, How long, O Lord, holy and true, dost thou not judge and avenge our blood on them that dwell on the earth? 11 And white robes were given unto every one of them; and it was said unto them, that they should rest yet for a little season, until their fellowservants also and their brethren, that should be killed as they were, should be fulfilled (Revelation 6:9-11). 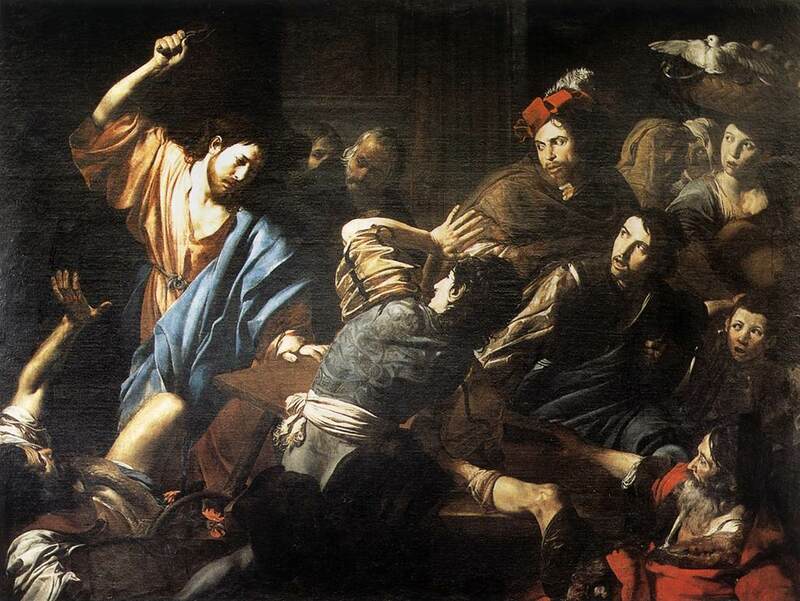 Christ Driving the Money Changers out of the Temple by Valentin de Boulogne, 1618. And Jesus answered and said unto them, Take heed that no man deceive you. For many shall come in my name, saying, I am Christ; and shall deceive many (Matthew 24:4-5). In other words, we are to deeply think about not just the possibility of deception, but that its actual manifestation is an ever-present reality. That the deception will come from man is expected, but it is especially troubling that it comes from men in the church–false apostles, false Christs, false prophets, and other destructive workers. An example of this is found in the book of Acts when Paul was getting ready to depart from the church at Ephesus. He emphatically warns the elders that “after my departing shall grievous wolves enter in among you, not sparing the flock. Also of your own selves shall men arise, speaking perverse things, to draw away disciples after them” (Acts 20:29-30). This dovetails with the prophetic teaching of Jesus (with an added supernatural element), when He warned the church that, “There shall arise false Christs, and false prophets, and shall shew great signs and wonders; insomuch that, if it were possible, they shall deceive the very elect” (Matthew 24:24). Paul gave further insight regarding this when he revealed that the deceivers in the church “are false apostles, deceitful workers, transforming themselves into the apostles of Christ. And no marvel; for Satan himself is transformed into an angel of light.” (2 Corinthians 11:13-14). It should be noted that Paul, just like Jesus, added a supernatural element to the appearance of false apostles and deceitful workers. The injection of Satan as a transforming power in the church is very insightful. Going back to Jesus’ words in Matthew 24:5, He said, “For many shall come in my name, saying, I am Christ; and shall deceive many.” It should come as no surprise that when deceivers come to the church with false signs and wonders they won’t come right out and say–I AM CHRIST. No, they usually come to the church with a guise of religious piety, using the name of Jesus to give them an air of Christian authority. In spite of the above examples, false prophets usually will not come right out and claim to be God, or Christ; no, they are more subtle. To illustrate, the word Christ means anointed, or anointed one. So, when the deceivers come to the church they always seem to pretend they are someone special–with an anointing. They lift themselves up (some even do it in a humble way! ), by letting it be known that if you want to hear from God, or receive His touch or attention, then you must get a special touch from them, an impartation, because they are the “anointed one.” They boast of Christian authority as they lay claim to titles such as prophet, apostle, or bishop. They love titles because it sets them above and apart from the laity–and that my friends is the sin of the Nicolaitans! In Revelation 2:6 Jesus told the church of Ephesus, “But this thou hast, that thou hatest the deeds of the Nicolaitans, which I also hate.” The term Nicolaitans refers to one who conquers and subdues the people. In this case a false prophet or apostle, by a show of authority, and driven by their will to rule over God’s people, wield the club of “prophecy,” or a special “anointing;” which of course implies their power to mediate between God and man–and by doing so they reveal their true identity as a pure manifestation of the spirit of antichrist because they have usurped the place of Jesus as the only true mediator between God and man (1 Timothy 2:5). For many shall come in my name, saying, I am THE ANOINTED ONE; and shall deceive many. Now, and this is very important–not everyone who says they have an anointing is a deceiver, or a false Christ. There are many godly men who faithfully preach the Word of God who use terms like anointing, or anointed preaching; or, they may even pray, asking God to anoint their preaching, teaching, etc. We must use common sense here. God has blessed many godly preachers and teachers with a powerful anointing to communicate the Word of God, and some may have a powerful anointing to pray for others in true biblical faith. But there is a great difference between a godly anointing and a false anointing; the problem for many in the church is that they cannot tell the difference, and that is the situation brought about by a lack of biblical knowledge and understanding. In turn, a biblically illiterate church is fertile ground for false prophets and others to gain a foothold. In my next post I will discuss the difference between the real anointing of the Holy Spirit and a demonic counterfeit. This is very important because all false apostles, prophets, and deceitful workers in the church are precursors to the revelation of the Alien Antichrist. The situation of the past 22 years or so is the foundation that the Man of Sin will use to build his church–the cult of the Dragon and the Beast (Revelation 13:4)! The Light of the World by William Holman Hunt (1851-1856), representing the figure of Jesus preparing to knock on an overgrown and long-unopened door, illustrating Revelation 3:20: “Behold, I stand at the door and knock; if any man hear My voice, and open the door, I will come in to him, and will sup with him, and he with Me”. In 1994 a very enthusiastic Christian friend told me about a new revival in Toronto, Canada. He said many people were getting saved and miracles were happening! We discussed the revival, and since Toronto wasn’t very far from where I lived in Ohio, I suggested that we ride up there to the Vineyard Church and see the revival for ourselves. As it turned out, I wasn’t able to go to Toronto at that time because something else came up. I felt bad for not going, but it just wasn’t the circumstances–these were circumstances orchestrated by the Lord. Looking back I can see that the Lord didn’t want me to go to Toronto, He had other plans. A short time later I received a phone call from my Christian friend who told me more about the Toronto revival. You see, because I didn’t go he also cancelled his plans at the time. But, now he called with exciting news–the revival was coming to Columbus, Ohio. Even though we couldn’t go to Toronto, the revival was coming to us! That was exciting news, but after I got off the phone my mind began to flood with all kinds of thoughts and questions. I felt excited about it but at the same time I also felt uneasy for some reason. I shook off the uneasy feeling, but it kept coming back. As it turns out, the uneasy feelings I began to experience were subtle warnings coming from the Holy Spirit. What I didn’t realize was that God was about to give me an education that money cannot buy. Riding to the Vineyard Church in Columbus, Ohio, I felt sick inside for some reason. I didn’t know why I felt ill, something inside my mind and heart just wouldn’t let me rest or be at peace as we were traveling to the church. We arrived at the church and I learned that several members from the ministerial leadership team from Toronto were there. So, my wife Krista and I found a seat in the middle of the auditorium and waited to see this much-anticipated event. I had heard some good things about the revival, and I also heard some negative things as well. But, before I passed judgement, I decided it would be best just to sit back and observe the leadership team in action and listen to their doctrine. Signs and wonders are one thing, but I knew that doctrine was even more important. Even though most people are adverse to doctrine these days, it is the major way to discern truth from error. Another way is to observe the lifestyle of those who claim to be Christian leaders–the way they conduct their personal and private life, especially with family, is very important. Continuing with the story: I knew all these things but at the time I did not realize how dark and foreboding a church service could get. The service started out just fine with Praise and Worship music, typical Vineyard music, which I usually enjoyed. But, then things started to happen, and I looked at Krista, and she looked at me, and we both knew we were in trouble. Yes, several leaders from Toronto were leading the service. I don’t want to name names here, for one thing, I don’t want to get a call from someone’s “Christian” attorney, so for this article I will just call them the leaders from Toronto. It appears to me that the mind is included with the heart and soul. God never expects us to shut off our mind, whether we are in the world or the church. That’s what cults and false religions teach, and it is also a quick way to get into trouble in any circumstance. The leader from Toronto didn’t read from a Bible as far as I can remember, all of the emphasis was on the “power encounter.” And let me tell you–it was a real power encounter, just not an encounter with the Holy Spirit of God. In truth, it was an encounter with familiar spirits, and with emotional manipulation and mind control. I saw one of the guys in the praise band fall on the stage, and he lay there motionless for well over and hour. When he fell down his arms were still holding his guitar up in the air. So someone removed his guitar and his arms remained up in the air–motionless. At that point the Toronto leader then invited people to come down front to the stage to get this so-called New Wine, and over the course of several hours I saw people jerking around, falling down screaming, laughing, moaning. And the worst manifestation that I saw was a lady on the stage moving her hips as if she were giving birth. I saw people rolling on the floor and barking like dogs. People were making other noises like animals. It was a living nightmare that I will never forget. The Holy Spirit is holy–He will never degrade a human being to the point that they whine, grumble, growl, or bark like an animal. For full disclosure I am a Charismatic Christian, and I do believe in the power of the Holy Spirit to fill the believer, including the gifts of glossolalia or tongues as the Holy Spirit chooses (Not every Christian will speak in tongues, nor demonstrate certain gifts. The power of God is always under His control, not human control). So, I am not an armchair quarter back here, I am speaking from experience. I grew up in a Holiness church, and later attended both Pentecostal and Charismatic churches, and at present I attend a very balanced Charismatic church (my pastor is also a seminary professor, and he also leads many missionary trips to foreign countries). It is important to understand what is happening in many churches these days, not just the Pentecostal and Charismatic members of the church. In many places the church has been invaded by familiar spirits–in many Evangelical churches Contemplative Prayer, which is a Christianized version of Transcendental Meditation, is spreading like wildfire. And no wonder, because many of the same churches also have Yoga classes–again, another form of Eastern spirituality under the guise of Christianity. All of these things are leading the Christian church into an alien form of spirituality, something so foreign that even the founding Apostles of Christ, Paul, James, John, Peter, etc., would have a difficult time recognizing as true, biblical, Christianity. All of this will, in the end, lead the church into the arms of the Alien Antichrist–who will come with an alien, or demonic form of spirituality. This New Wine, as they call it, if I may use that term, will lead the world to worship the Antichrist, and a Serpent–the old Devil himself. The church is in danger, and many honest Christians are in grave danger, not just from Bible denying Liberals who turned their back on Christ a long time ago, but from a new form of Christian spirituality, which uses signs and wonders empowered by familiar spirits. I will have more to say on this in the next post. Until then. thanks for visiting. During the recent blood moon eclipse, it was brought to my attention that a certain well-known pastor had predicted that Christ would return September 27-28th. Obviously it did not happen. Earlier in the month we had the Shemitah, which supposedly occurred on September 13; this also spurred a string of predictions regarding the imminent collapse of the American economy. That didn’t happen either. Not that it couldn’t happen, but it didn’t happen like some people had hoped and predicted. In other words, the end of the world predictions were all wrong once again. Then, to my utter amazement I discovered another prediction! Another Christian leader predicted that the end of the world was going to happen on Wednesday, October 7th. The funny thing was, I didn’t discover this failed prophecy until the next day, Thursday, October 8! WRONG AGAIN! If another Christian leader sets a date for the end of the world, or the return of Christ, mark that person as a false prophet. Most of them won’t apologize, they just try to spin it like they didn’t do anything wrong. This reminds me of the kid with his hand in the cookie jar; he was caught, but he won’t admit a thing. Predictions like these are always going to be wrong! How can I be so positive in that statement? Because these predictions come from the minds of prophetic wannabe’s who aren’t really satisfied with Bible prophecy as it is written, and so they have to embellish circumstances, and in the end they always prove to be wrong. 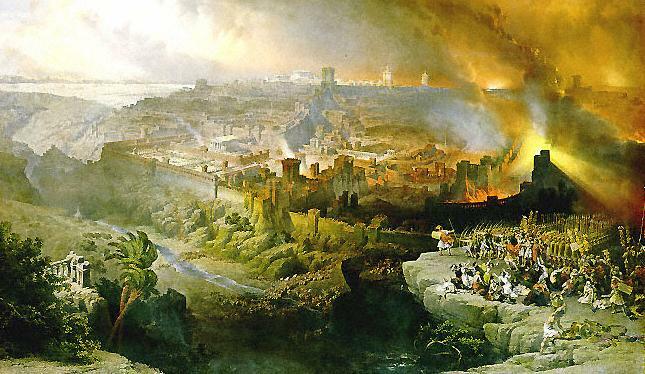 The result is that real Bible prophecy is tarnished and discredited, and thousands of people end up with damaged faith. That is the fruit produced by the prognostications of the false prophets in todays church. There is an answer to this madness: stop it and read the Bible. Joel 2:30-31: And I will shew wonders in the heavens and in the earth, blood, and fire, and pillars of smoke. The sun shall be turned into darkness, and the moon into blood, before the great and the terrible day of the LORD come. “Immediately after the tribulation of those days shall the sun be darkened, and the moon shall not give her light, and the stars shall fall from heaven, and the powers of the heavens shall be shaken: And then shall appear the sign of the Son of man in heaven: and then shall all the tribes of the earth mourn, and they shall see the Son of man coming in the clouds of heaven with power and great glory. And he shall send his angels with a great sound of a trumpet, and they shall gather together his elect from the four winds, from one end of heaven to the other” (Matt.24:29-31). Notice that the celestial signs, which are a harbinger of the Second Coming, happen after the Tribulation. Not before, but after. This time the moon will not reflect light because the sun will be darkened. In the late 1980’s I heard a prophecy teacher say that the Holy Spirit revealed to him that Mikhail Gorbachev, former leader of the Soviet Union, was the Antichrist. I also heard a Pentecostal minister say that the Holy Spirit revealed to him that when Richard Nixon died, the Tribulation will begin. Well, old Gorby is not the Antichrist, that is plain to see, and Nixon died in 1994, 21 years ago, and the Tribulation hasn’t started yet. AGAIN, FALSE PROPHECIES FROM THE MINDS OF MEN WHO DO NOT KNOW THE MIND OF GOD! So, what does the Bible say regarding the appearance of the antichrist? As it happens, Paul gave us a series of events regarding the time when the of Man of Sin will be revealed to the world. Did you know that? Now we beseech you, brethren, by the coming of our Lord Jesus Christ, and by our gathering together unto him, That ye be not soon shaken in mind, or be troubled, neither by spirit, nor by word, nor by letter as from us, as that the day of Christ is at hand. Let no man deceive you by any means: for that day shall not come, except there come a falling away first, and that man of sin be revealed, the son of perdition (2 Th. 2:1-3). Notice that just as Paul admonished the church at Thessalonica not to be shaken or troubled in their mind about these things, we too are not to be rattled by false prophecies coming from some of these well-known Christians. Just because a person is in some kind of Christian leadership position, that does not mean that they also make a good prophet, especially if they ignore the clear teaching of Scripture not to set dates; all that does is tarnish the name of Christ, and upset the faith of many people. 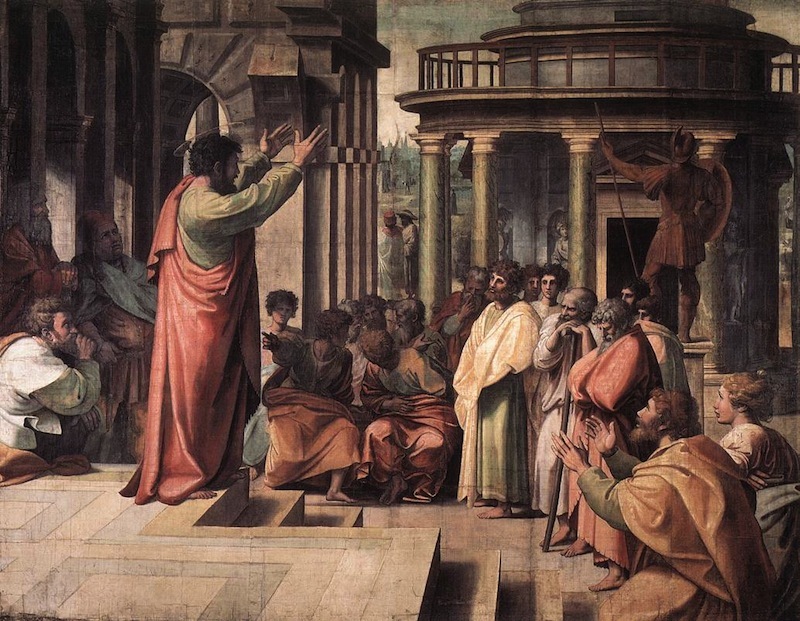 Secondly, Paul ties the gathering of Christians with the Second Coming of Christ. The gathering is the rapture, but notice that it does not happen until four clear and distinct signs appear in the world. There will be a great apostasy. This is different from the general apostasy we see in the church today. The Greek here reads “the apostasy,” referring to something unique. Some render it “the falling away.” It refers to a total abandonment from Christianity by those in the church. It comes from a root referring to a bill of divorce. In other words, mankind will divorce the very heart of our faith: God the Father, Jesus Christ, and biblical salvation by faith in Christ. The revelation of the Antichrist, the Man of Sin. An open display of satanic supernatural power unlike anything so far seen in the world, from the beginning of time, to this day. The Man of Sin will present himself to the world as God, and demand worship. He will set in a Temple-like structure and commit the Abomination of Desolation predicted by both Daniel and Jesus (Matt. 24:15; Daniel 9:27; 11:31; 12:11). When we see these four things we will know for certain we are near (or in) the time of the Great Tribulation, and the Second Coming of Jesus. Don’t be shaken by the prophets of today. Let them blow and huff as they spew out their “prophecies.” Don’t lose your peace and be disturbed by any of it. You now have four distinct signs by which you can understand the times. Have faith in Christ, and stand on the firm foundation of His Word. We have also a more sure word of prophecy; whereunto ye do well that ye take heed, as unto a light that shineth in a dark place, until the day dawn, and the day star arise in your hearts: Knowing this first, that no prophecy of the scripture is of any private interpretation. For the prophecy came not in old time by the will of man: but holy men of God spake as they were moved by the Holy Ghost (2 Peter 1: 19-21). 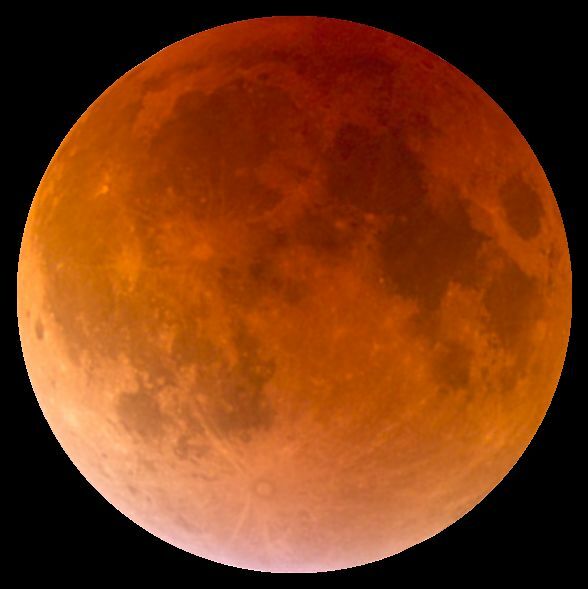 This past weekend we saw the final “blood moon” of a tetrad (a series of four consecutive lunar eclipses), which happened to fall on several of the Jewish Feasts, in particular Passover, and Tabernacles. The problem I have with all of this is that some Christians were predicting that the rapture was going to take place on Sunday, which obviously did not occur. But, the question remains, could this series of tetrads, falling on Jewish feast days, actually point to end-time events? Its possible, and I would not discount that. The Bible does mention signs in the heavens as a precursor to the Day of the Lord. However, I do believe we should be careful tying these events to the return of Christ until it is abundantly clear that something strange and unusual is going on. To do so can cause irreparable harm to the cause of Christ, and possibly damage the faith of some. Just using common sense and logic we can see that before the rapture, or the our gathering together with Christ, several things must occur first. The great apostasy must take place. The Man of Sin (the Antichrist), must be revealed. The restraining influence of the Holy Spirit must be released so that the Mystery of Iniquity can be revealed (the revelation of Antichrist, and total lawlessness on the planet). Now we beseech you, brethren, by the coming of our Lord Jesus Christ, and by our gathering together unto him, That ye be not soon shaken in mind, or be troubled, neither by spirit, nor by word, nor by letter as from us, as that the day of Christ is at hand. Let no man deceive you by any means: for that day shall not come, except there come a falling away first, and that man of sin be revealed, the son of perdition (2 Thess. 2:1-3). As Paul writes here, don’t be shaken by false words. I fear that many people may be turned away from Christ, or their faith may be shaken, because of fear mongering, and the false hope of a rapture of the church before the time. As Paul states, the gathering of Christians, which is the rapture, and the Day of Christ (or, Day of the Lord), will NOT take place until the falling away occurs, and the Antichrist is revealed to the world. It’s that simple. I hold to a post-tribulation understanding of the rapture, but even if you believe in a pre-tribulational rapture, this verse still stands true: the rapture will NOT happen until after the apostasy occurs and the Man of Sin is revealed. The Bible is clear that strange unusual signs will be seen in the heavens before the return of Christ, but these may be supernatural signs designed by God. I am of the opinion that these signs may be so clearly beyond the normal course of nature that it will be abundantly clear that something out of the ordinary is happening. As you can see, Jesus ties events we have now, earthquakes, famines, and disease, with supernatural signs in the sky. The Greek word for fearful sights is phobētron which refers to something in the heavens that causes terror, and strikes fear in those who see it. I don’t know about you, but the lunar eclipse the other night, which occurred on the Jewish Feast of Tabernacles, wasn’t a fearful, frightening sign in the heavens. Indeed, it was a sight to behold, a bit of beauty in the darkness of night that pointed to the glory of Almighty God, who set the whole course of nature in motion. The heavens declare the glory of God; and the firmament sheweth his handywork (Psalm 19:1). 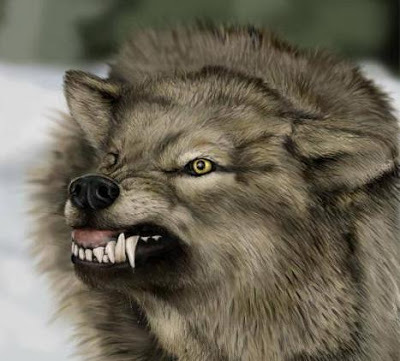 Beware of false prophets, which come to you in sheep’s clothing, but inwardly they are ravening wolves (Matthew 7:15). There is one aspect about the Great Tribulation that we should seriously take into account; and that is, it will be a period of time when the full expression of the mystery of iniquity is no longer a hidden mystery, but out in the open. This will be a remarkable deception, and it is something that billions of people will quickly embrace. And I stood upon the sand of the sea, and saw a beast rise up out of the sea, having seven heads and ten horns, and upon his horns ten crowns, and upon his heads the name of blasphemy (Revelation 13:1). Because we live in a fallen world already tainted by sin and evil, this aspect of the satanic plan for mankind is not easy to detect, nor understand. But I believe we should realize that the mystery of iniquity, or hidden lawlessness, will continue to build to a great crescendo until the entire world is under the heel of the Great Red Dragon and the Antichrist Beast (Revelation 12:3; 13:1). The Apostle John called the mystery of iniquity “the spirit of antichrist,” which was already present in the early church in his day. The many antichrists that emerged in Johns day are energized by demonic powers, and are an expression of the mystery of iniquity, or hidden lawlessness. They still work in the world, and in the church, to this day. Indeed, they are so prevalent today that I could name a dozen of them off the top of my head that have daily or weekly programs on worldwide TV and radio. But the most striking aspect of this is that many of them are “stars” on several Christian Television networks–and Christians send them millions of dollars each week! They pretend to be the ministers of Christ, but in reality, they are the “many antichrists” that John said would come. They have always been here, and will continue to labor in the church, and in the world, preparing the fields of humanity for harvest by the final Antichrist. Predictably, their evil works are more powerful today, and their influence is greatly enhanced because of the media–radio, TV, and the Internet. How do you know if you are being influenced by an antichrist teacher or preacher? There are two things you must do: 1. Watch their doctrine; 2. and their lifestyle. Jesus said, ” Ye shall know them by their fruits. Do men gather grapes of thorns, or figs of thistles? Even so every good tree bringeth forth good fruit; but a corrupt tree bringeth forth evil fruit…Wherefore by their fruits ye shall know them” (Matthew 7:16-17,20). What will be a turning point in the future is that the many antichrists will begin to demonstrate an incredibly deceptive supernatural power; it will be satanic power, but will be attributed to God, and it will be so convincing that many will believe that God is empowering and blessing them! Here, Jesus reveals to us that the pseudochristos (false christs) and the pseudoprophētēs (false prophets) will infiltrate the church. Because they will possess supernatural power, and their ruse will be so seductive, it is possible that even the elect, or those who are truly saved or born-again, may also be deceived. The word for seduce is the Greek word apoplanaō which means “to lead away from the truth to error,” and that is exactly what they will do: they will draw away people from the real Jesus Christ to an occult version, a pseudochristos, or false Christ. I am of the opinion that this is beginning to happen now! Already there are prophets and teachers in the church who do have a “power,” or an “anointing”–but it is not from God; their lifestyle and accompanying false doctrines betray them. An increase of works of power by those who teach unbiblical or questionable doctrines may be an indication that we are observing the beginnings of the strong delusion Paul wrote about at 2 Thess. 2:11. I do believe that those who are saved will only escape supernatural deception because of the discerning work of the Holy Spirit deep in their heart. Pray that the Holy Spirit will help you to be more discerning, and be careful of those who claim an “anointing” to do miracles, or those who seem to have power to receive so-called prophetic words. Be extremely cautious of those who claim to be prophets or apostles in these days, and don’t let them quickly lay hands on you. A multitude of false apostles, prophets, and bishops are running around the church today exercising a false anointing and false authority. In truth, they are part of the many antichrists, and we have been warned. “And Jesus answered and said unto them, Take heed that no man deceive you. For many shall come in my name, saying, I am Christ; and shall deceive many” (Matthew 24:4-5). I was rather surprised the other day when I discovered a video produced by a major world organization which clearly is an attempt at soft alien disclosure. In all reality, I couldn’t believe what I was watching; it is so blatant and upfront with the alien lie, and filled with several layers of subtle meaning. UNICEF, the United Nations Children’s Fund in Chile recently released a video called “UNICEF Marciano.” I tried several online translators for Spanish, which is the official language of Chile (also, Chilean Spanish), and each time the word Marciano was translated as Martian. So, what we have here is a video produced by UNICEF in Chile called, UNICEF Martian. The video also has a subtitle, “No pierdas la oportunidad de aceptar a alguien distinto, no pierdas la oportunidad de que te cambien la vida,” which translates as, “Do not miss the opportunity to accept someone else, do not miss the opportunity to change you(r) life (again, Google Translate). This video is used under United States laws of Fair Use, for educational and discussion purposes only. It remains the property of UNICEF. As you can see, UNICEF Chile has chosen to use an alien-looking child, apparently the UNICEF Martian, in the video to teach the acceptance of others who appear different. While that is obviously a good message, they could have taken a traditional approach and just used a human child. But, they chose an alien theme, and used a “star-child” instead. The Earth children are shocked at the appearance of the alien boy, and at once begin to tease and taunt him in various ways. That is, until the alien boy uses his spiritual powers to levitate three Earth children who are participating in a play. Once that occurs, the Earth children accept the alien child, and he becomes part of the group, and is a central figure in a class photograph. Clearly his “differentness” has set him apart from the others, and the children of Earth fully accept, not only the fact that he is an alien being, but his supernatural abilities as well. But did you catch the hint of the fall of man? Did you see the forbidden fruit provided to humankind by the reptilian-appearing being? Obviously, our entire race fell because Adam and Eve followed the lies of the Serpent, a fallen reptilian creature, disobeyed God, and ate the fruit of the Tree of the Knowledge of Good and Evil. In the video the human girl drops a pencil. The alien boy picks up the pencil and hands it to the young human girl. She takes the pencil, which is covered with some kind of green substance; this substance appears to ooze from the hand of the alien child. Is this a hint, winking at the Scriptures, which describe an alteration of the human genome through the illicit activity of the Sons of God in Genesis 6? When the alien boy picks up the pencil and hands it back to the human female it is covered with a green genetic substance. Does that act symbolize Genesis 6 in this video? For it is in the book of Genesis, where we first learn that the Sons of God took human women and not only rewrote, but corrupted the human genome with their own DNA. This evil act on the part of the Fallen Ones resulted in the creation of the genetically hybrid monstrosities called Nephilim. Is it possible that the fallen pencil represents an alien attempt to correct, or rewrite human genetics; to restore fallen humanity, to pick up the pencil and rewrite the story with a new ending, resulting in a new kind of human: a Neo-Nephilim? According to this New Age website, the color green, which was on the pencil, hints at healing and fertility, again, shades of Genesis 6. Indeed, this video shouts Genesis chapter 6. Next we see the alien boy at lunch. He sets down beside a human boy. The alien child then gives his human friend a piece of fruit. Is it a coincidence that the fruit is an apple, which historically represents the fruit of the Tree of the Knowledge of Good and Evil? Notice also that the apple is not red or green, but an indigo color. The color indigo is significant because of its symbolic importance in various occult traditions. Indigo, or more specifically blue, is associated various other deities and represents immortality and perfection. It is clearly no coincidence that after the alien child gives the human boy the indigo apple, the next scene is where the alien child uses his psychic powers to levitate the children on stage. Notice also, in the stage scene, the children are in a play with a wizard, or magician, who is also seen wielding a magic wand (anointing one child with the wand), and the background of the stage has TWO trees–does this represent the Garden of Eden with its two trees, the Tree of Life, and the Tree of the Knowledge of Good and Evil? Does the magician represent “God” the creator, and the reptilian alien boy with god-like powers, the coming of the Serpent to correct the “mistakes” of God through the way of gnosis, or hidden knowledge; in other words, to lift mankind to a higher level of knowledge or consciousness through occultic god-like powers? After all, the Serpent told Eve that if she ate the fruit she would become like the “gods,” knowing good and evil, in other words, the forbidden knowledge of the fallen angels would be gained through the rebellious act of disobeying God. What really surprised me about this video is that it apparently has the approval of the Vatican. On the 21st of April, 2015 at the Vatican, and in the presence of Pope Francis, Anthony Lake, the Director of UNICEF, and the deputy president of CONMEBOL, a South American Football Confederation, signed agreements supporting a Chilean educational program called Scholas Occurrentes; this is all supported by the Pope. This video was apparently put together by UNICEF and CONMEBOL with the full support of the Vatican. The “alien” content of this should not be a surprise then, considering some of the statements that have come from the Vatican about baptizing aliens, calling aliens “brothers,” etc. Here we have a program supported by Pope Francis creating a video intentionally made to introduce children to the alien lie. It’s no wonder the Vatican needs more exorcists as this kind of worldview will introduce, and reinforce, a belief in extraterrestrial alien beings, which are in fact, fallen angels; the devils in disguise. Of course the naysayers will howl and cry that I have misinterpreted this video, or misrepresented its intent. In both cases it is not my intention to misrepresent anything. But, I do think this video, and its subtle message, should be exposed for what it is. In my opinion it is an attempt to normalize in the minds of all people the importance of accepting the alien lie when the Vatican chooses to reveal it to the world. Jesus told us that many false prophets and false Christs would come to the world with supernatural powers so incredibly capable of deceiving even the very elect, those saved or born-again. We should be aware of this kind of emotionally charged propaganda in these last days. The Antichrist, and the Beast system of Babylon the Great, are both important components of the prophetic picture in the Bible. Get the book, increase your knowledge of Bible prophecy and you will not be caught off guard by the coming Strong Delusion. You may get the book at Amazon, Barnes and Noble, and at other fine bookstores as a print on demand title. At Amazon you may get the book on Kindle, and if you have Kindle Unlimited or Kindle Prime you may get a copy through those programs as well. 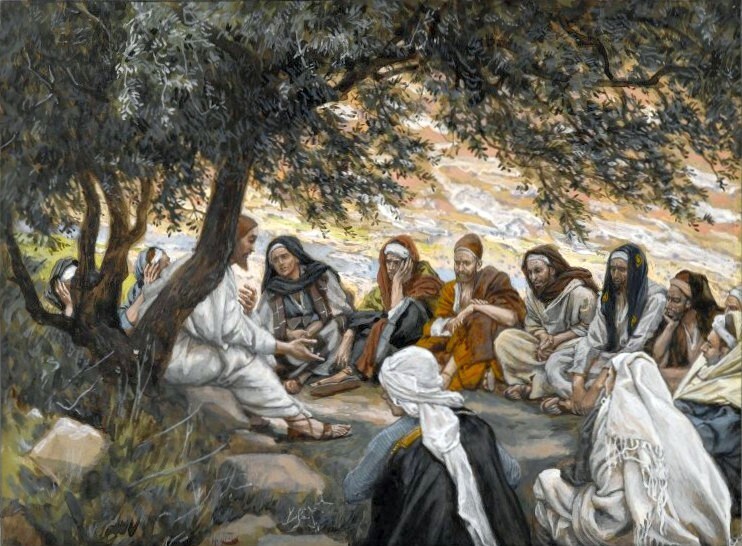 The Exhortation to the Apostles by James Tissot, 1894. All of you are acutely aware that our world is in grave turmoil. The troubles seem as if they are insurmountable, and they keep coming as they pile one on top of another. As time goes by it seems as if the troubles keep crashing onto the shores of our world like waves of a violent hurricane; and the shores are quickly eroding. In the end there is nowhere to turn, and nowhere to escape. But all of this was predicted by Jesus. He warned us that the conditions of the last days would be filled with violence, racial strife, economic turmoil, and deception. But the first warning He gave to His disciples on the Mount of Olives was about a powerful deceptive religious force that would be so compelling, it would captivate the minds of almost everyone. Matthew 24: 4-5, 11, 23-24, 26: And Jesus answered and said unto them, Take heed that no man deceive you. For many shall come in my name, saying, I am Christ; and shall deceive many….And many false prophets shall rise, and shall deceive many….Then if any man shall say unto you, Lo, here is Christ, or there; believe it not. For there shall arise false Christs, and false prophets, and shall shew great signs and wonders; insomuch that, if it were possible, they shall deceive the very elect….Wherefore if they shall say unto you, Behold, he is in the desert; go not forth: behold, he is in the secret chambers; believe it not. The world has always been filled with false prophets and deceptive religious leaders. I read a lot of news, and almost every week I read about a new false prophet somewhere. In fact, Christian television these days is filled with them. All of them have one thing in common: they all claim to be “anointed.” Interestingly, Jesus warned us that they would claim a false anointing, and that is what the word “Christ” means: to be an anointed one. But Jesus said they would not have a real anointing from the Holy Spirit. While they may claim to be an “anointed one,” what they actually turn out to be is a ψευδόχριστος— a pseudochristos, or false anointed one. Pseudo, meaning false, and christos meaning Christ: a false Christ. While there is a true anointing of the Holy Spirit that comes upon a person as they testify, teach, or preach the Word of God, there are many who come in the name of Christ, and, who demonstrate by their false doctrines, that they are in truth a manifestation of pseudochristos. In this way they also act as a mediator between God and man; something only the real Jesus Christ can do (1 Timothy 2:5), which further proves that they are a pseudochristos. That is why it is imperative that we know the Word of God for ourselves. A true minister of Christ follows the leading of the Holy Spirit, pointing others away from himself to the biblical Christ. He leads others to Jesus, not to miracles or money, and certainly not to himself. John 16:13: Howbeit when he, the Spirit of truth, is come, he will guide you into all truth: for he shall not speak of himself; but whatsoever he shall hear, that shall he speak: and he will shew you things to come. But Jesus also spoke about a powerful deceptive religious force that would begin to capture the minds people everywhere. Indeed, this religious force will prove to be so dynamic and persuasive that it will lead humanity straight into the arms of the Man of Sin, the Antichrist, who is the Beast from the Abyss. The coming Strong Delusion will be that force. More than false doctrine (although the pseudochristos will be great teachers of lies and false doctrine), they will also possess real supernatural abilities to perform great signs and wonders. They will capture humanity not just with false doctrine, but with power. Furthermore, they will appear as gods because they will have the power to affect humans, not just in a physical way, but in a deeply spiritual way as well. That’s what makes a miracle impressive anyway, it alters the course of nature, and deeply affects the human spirit and soul. Since Jesus is God in the flesh (KJV 1 Timothy 3:16) , it is my opinion at this point that the coming pseudochristos will also claim to be God, or, gods in the flesh. In other words, they will claim to be a revelation of the Christ, or, the “anointed one.” This may be perceived in the minds of many people to be the return, or Second Coming of Christ. Truly, this will be the full-blown expression of the pseudochristos and the disclosure of Antichrist. One of the biggest lies we will be presented with will be that the aliens are our creators; and their coming will appear to be the return of the ancient gods who created man in the likeness of God. There is another salient point I would like to bring out of the teaching of Jesus in Matthew 24. And that is the way the pseudochristos will pretend to lead the people of Earth to find the Christ (in reality the Antichrist). Matthew 24:26: Wherefore if they shall say unto you, Behold, he is in the desert; go not forth: behold, he is in the secret chambers; believe it not. I find it very fascinating that Jesus warned us not to believe those who claim to find “Christ” in a desert place, or from a secret chamber; either here on Earth, or (possibly) near Earth, perhaps in our atmosphere, or space near-by (an inter-dimensional portal??). The reason I find this absolutely intriguing is that according to John the Revelator, the Beast from the Abyss, who is the Antichrist, will be released FROM A DESERT PLACE OR A SECRET CHAMBER opened by an angel, a supernatural being! Revelation 9:1, 3a, 11 : And the fifth angel sounded, and I saw a star fall from heaven unto the earth: and to him was given the key of the bottomless pit… And there came out of the smoke locusts upon the earth…And they had a king over them, which is the angel of the bottomless pit, whose name in the Hebrew tongue is Abaddon, but in the Greek tongue hath his name Apollyon. As I wrote in my book Alien Antichrist, the revelation of the Antichrist Beast to the world will occur when Satan is given a key to the bottomless pit (the abyss). At that time he uses the key to release the imprisoned locusts (genetically hybrid beings), and their King Apollyon/Abaddon, who is the Antichrist, a powerful fallen angel, from a secret chamber either deep in the Earth, or near Earth. Truly, Jesus warned us ahead of time. He warned us of the appearance of many pseudochristos who will possess supernatural power to do great signs and wonders. And He also warned us not to be taken in by the deceitful lies of those who will claim that Jesus (or a Messiah/Savior type being), will come from a SECRET CHAMBER. The real Jesus will not come from a hidden place. He will come at a crucial point in time after the bowls of wrath are poured out upon the Earth (Rev.16). Once the wrath of God is poured out, the entire Earth, and the visible universe near us, will be darkened. Then, and only then will the sign of the Son of Man appear in the heavens. That sign will signal the return of the real Jesus Christ as He becomes visible to the entire planet. Matthew 24:29-31: Immediately after the tribulation of those days shall the sun be darkened, and the moon shall not give her light, and the stars shall fall from heaven, and the powers of the heavens shall be shaken: And then shall appear the sign of the Son of man in heaven: and then shall all the tribes of the earth mourn, and they shall see the Son of man coming in the clouds of heaven with power and great glory. And he shall send his angels with a great sound of a trumpet, and they shall gather together his elect from the four winds, from one end of heaven to the other. NOTICE: At 6pm tonight, August 3oth, 2015, EST U.S., I will announce the winner of the drawing for a copy of my book, Alien Antichrist.